How Rich Are You Compared To The Rest Of Americans? While you may not strive to keep up with the Joneses, you may still wonder how your investments and savings compare to theirs. How rich are you compared to the rest of Americans? In 2016, there were 10.8 million millionaires nationwide, according to a 2017 report from Spectrem Group. Of this number, 9.4 million individuals had a net worth of $1 million to $5 million, 1.3 million people had a net worth of $5 million to $25 million, and 156,000 households were worth more than $25 million, said the report. While this figure tallied more millionaires than ever before, if you have $1 million or more socked away, you’re still part of a small group. In fact, millionaires are wealthier than nine out of ten Americans. Speaking of millionaires, as of 2018, the top 10% of families living in the US owned an average of $969,000 in stocks. The next 40% on the wealth scale owned, on average, $132,000. The bottom half owned just under $54,000. Consider that we’ve experienced over 200% growth in the S&P 500 since 2009, and you’ll see that significant wealth has been generated by wealthiest of Americans in just the last decade. What’s also interesting is that only slightly over half of our nation’s families own stocks – 54%, to be exact. More people own houses in our country than own stocks. Most people who are in the market have significant household income. A recent Gallup survey found that 21% of households earning $30,000 or less have some money in the stock market, as compared to 89% of families with incomes over $100,000. This statistic makes sense. A family has to meet its daily expenses before it can invest in the future. When it comes to percentage ownership, the wealthiest among us – the top 10% of Americans – own an incredible 84% of stocks. “Despite the fact that almost half of all households owned stock shares either directly or indirectly through mutual funds, trusts, or various pension accounts, the richest 10% of households controlled 84% of the total value of these stocks in 2016,” says New York University’s Edward Wolff, an economist who focuses on wealth and wealth disparity. Even more shocking: the wealthiest families – those in the top 1% – owned almost 38% of all stocks shares, says Wolff. What’s more, stock ownership has slipped over the past five years for people located in the lower 50%, and, to a lesser degree, for people who were above the median but below the top 10%, reports the Federal Reserve. Stock ownership is down significantly since the years before the last recession, even though we are still roaring through a bull market. That’s a lot of numbers, but hopefully, our discussion gives you an idea of where you fall on the wealth spectrum. If you’ve made it to the realm of millionaire-dom, pat yourself on the back. You deserve it. And if not, fear not. Money doesn’t buy happiness. 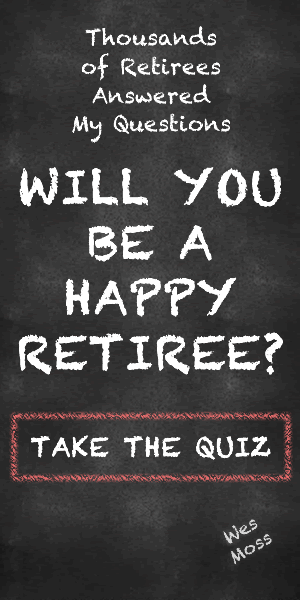 Actually, my research has shown that folks can be quite comfortable with far less; the magic number I’ve found for a happy retirement is at least $500,000 in liquid net worth. After that, your happiness factor plateaus. And isn’t that what life is ultimately about? Previous ArticleInternational markets in free-fall, can the US stay unscathed? – September 16, 2018Next ArticleWhat Services Are Baby Boomers Looking For When They Engage A CFP® Or Other Financial Professional?